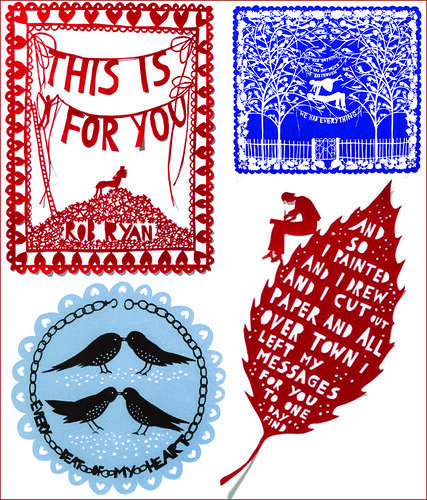 “Born in Cyprus in 1962, Robert Ryan is a paper-cut artist, print maker (Rob has an an MA in printmaking from the Royal College of Art) and illustrator, working for a range of clients including Vogue, Paul Smith and a number of book publishers. Hope you like his work as much as I do. I’d love to frame one of his pieces in my home. Time for a trip to London! Otherwise, I have my eye on this tile in his etsy shop.